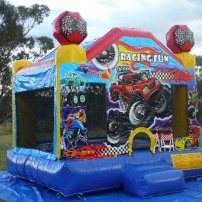 Medium jumps - 4x4m Racing Fun and Its a Girls Thing - $170per day. 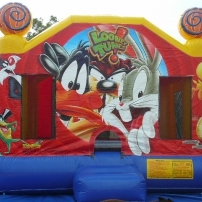 Large jumps - 4.5x4.5m Looney Tunes - $170 per day. 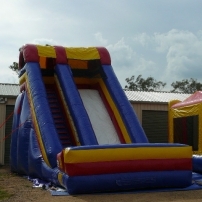 Jump and Slide Combo 5.5x5m Scooby Doo - $200 per day. 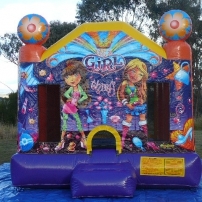 Giant Slide 8mx4.5m - $400 per day. Castles to be manned extra hourly rates applies. 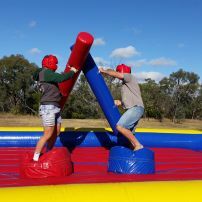 We deliver set up and pack away all our castles for free (local area). All prices now reduced so book early. Will travel anywhere ask for a quote today. 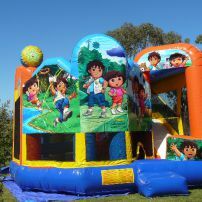 commented on "5 in 1 Combo"
commented on "Dora and Diego"
commented on "It's a Girl Thing Jump 4x4m"
commented on "Racing Fun Jump 4x4"